Unboxing the Maxie Mail subscription box for October 2018 – this month’s project is a lined, zippered tote, adorned with English Paper Pieced (EPP) Hexagons and topped off with a hexie zipper pull. 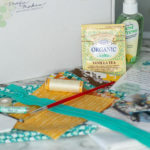 Unboxing sewing subscription box – the July 2018 Maxie Mail goodies! This month’s box has supplies to make a small Orange Peel block quilt by Plum Easy Patterns. The petal blocks are pieced, not appliqued – no seams to match and no curves to pin! 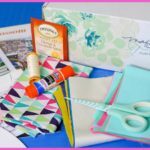 Unboxing sewing subscription box – the June 2018 Maxie Mail goodies! You may remember previous unboxings of the Maxie Mail sewing and quilting subscription boxes – well we got another one coming to you LIVE! 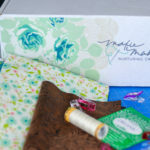 Unboxing another sewing subscription box – the December Maxie Mail goodies! 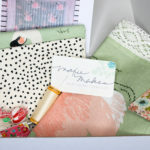 Dabbling Swan Quilt + Pillow – This month’s box includes a beautiful little quilt made from Art Gallery Fabrics, designed by Bonnie Christine. This line, “Hello, Ollie” is 100% organic cotton with a most luxurious feel!